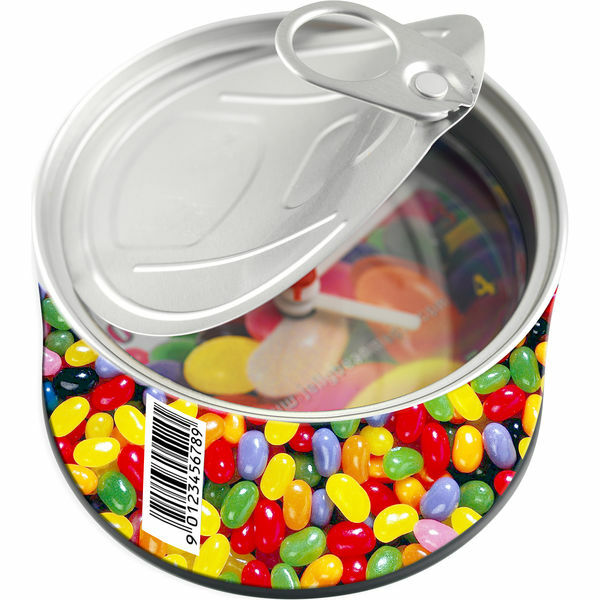 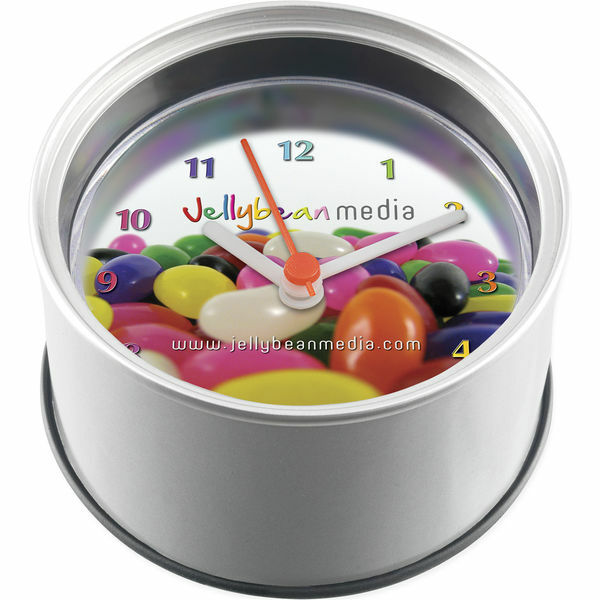 The Can'O Clock can be branded to the face of the clock, the outer wrap, or both, at no additional charge. 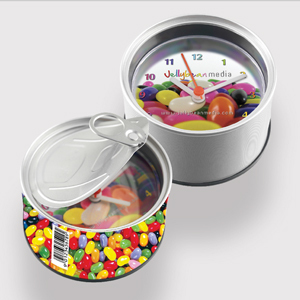 Each clock is individually boxed and includes a 1 x AA Battery. 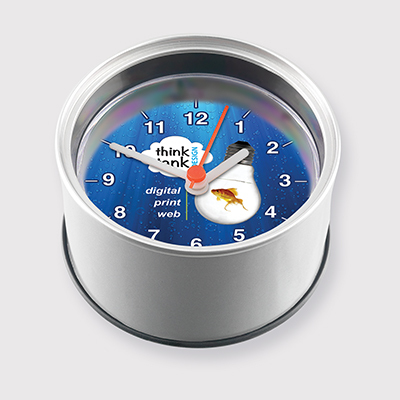 The reverse of the clock also houses magnets and a fold-out stand, making this product suitable to be placed just about anywhere.